Well through some benign act of benevolence I seem to have made it to 50, or as the kids call it “Fiddy” this past June. 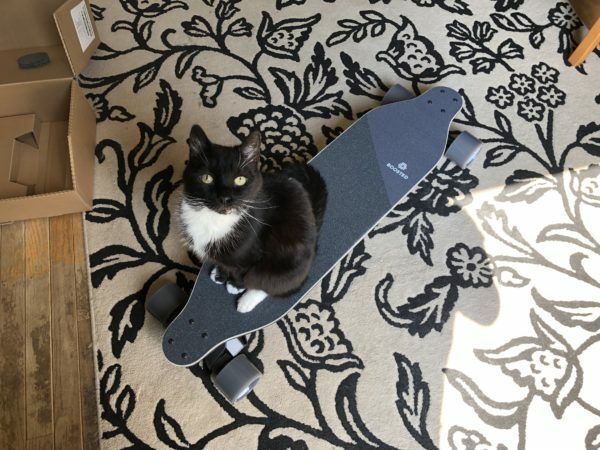 Seeing how it has been a while since I have done something truly stupid I though “hey hold my beer” and went out and purchased an electric skateboard, or as the kids call it an eBoard… I ordered it in May knowing that there would be a lead time in shipping. I had hoped that it would be here in time for my 50th B Day but that was not to be. 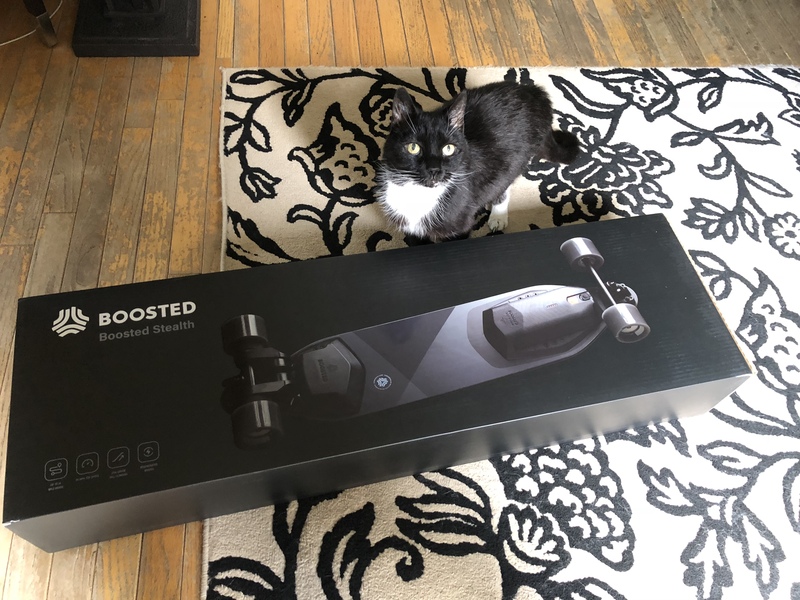 It finally arrived on Tuesday the 7th. None too patient is the kitty. 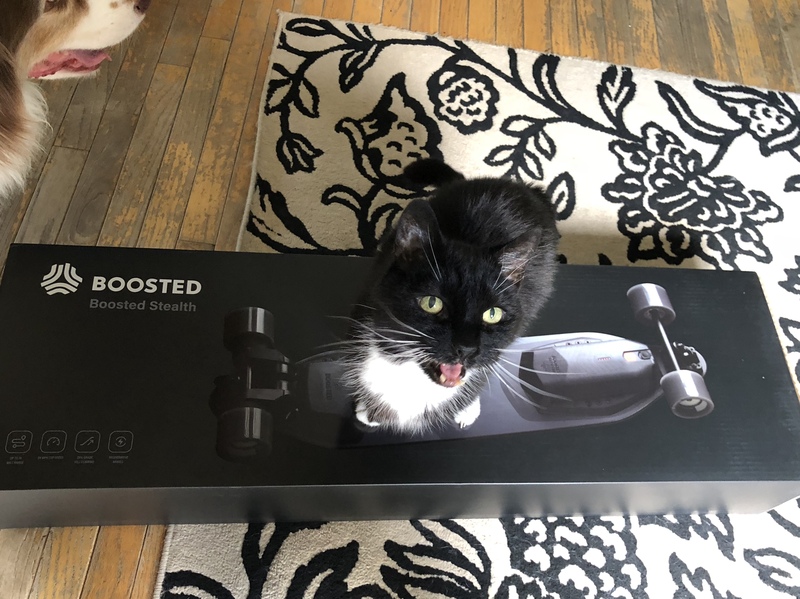 So upon opening the box expecting the cat to get in the box I find that I don’t actually get to have the first ride on my new board. Of course it then started pouring down rain so my first ride was a bit delayed. I got a short ride Wednesday and then a longer ride today.